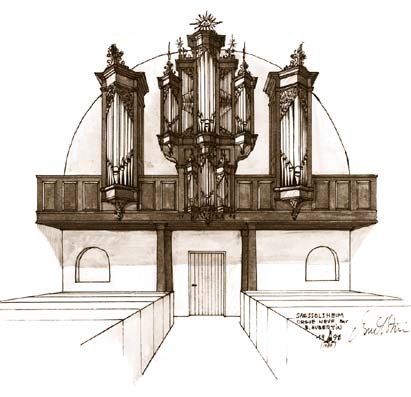 The inauguration of the new organ built by Bernard Aubertin (Courtefontaine, Jura, France) was in 1995. It has 30 stops. It is ideal for german organ music of the 17th and 18th centuries. Keyboards behind the organ, coppel by pushing the upper keyboard, tremolo for the keyboards, tuning : Young, 6 pure fiths and 6 temperated (c to f sharp), diapason : a’=440. 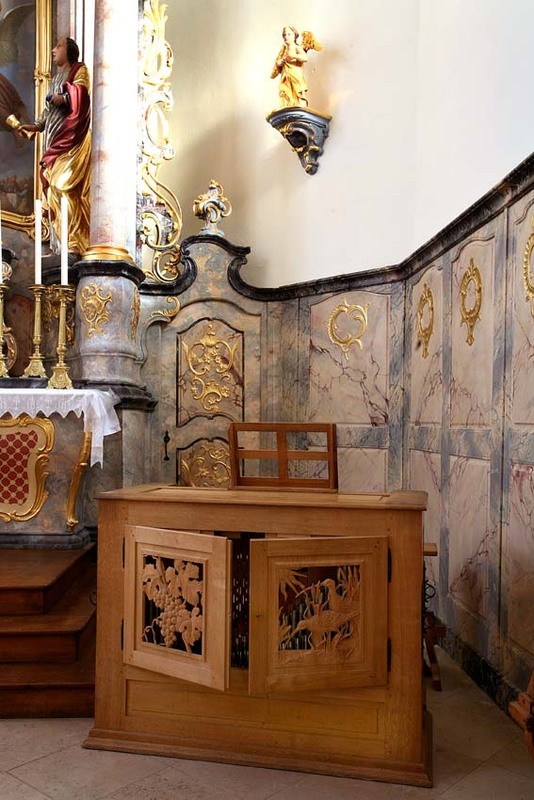 Since Christmas 1999, there is a second organ in the church of Saessolsheim : it is a transportable organ with 5 stops : Bourdon 8′, Flûte 4′, Doublette 2′, Sifflet 1′, Régale 8′. This organ allows transposition (392, 415, 440, 460). It was inaugurated on August the 20th of 2000, on the occasion of a village feast. 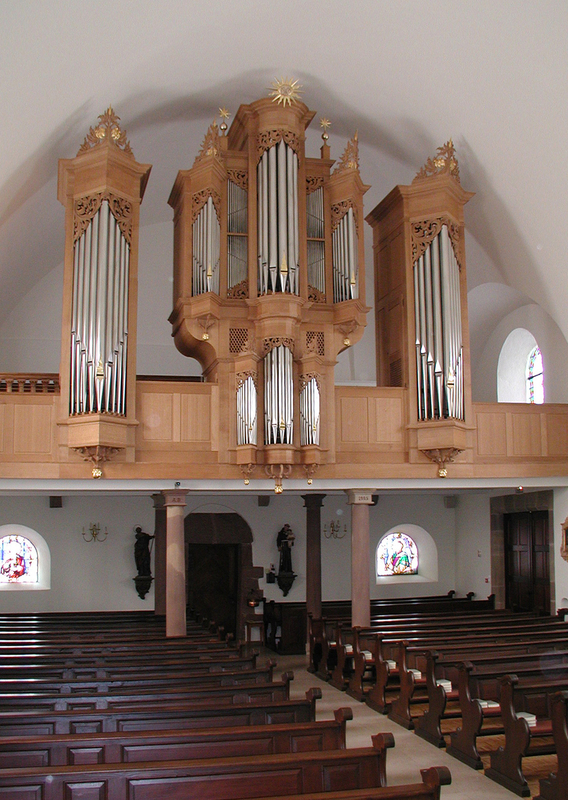 Sometimes, this organ is rented for concerts not in Saessolsheim.